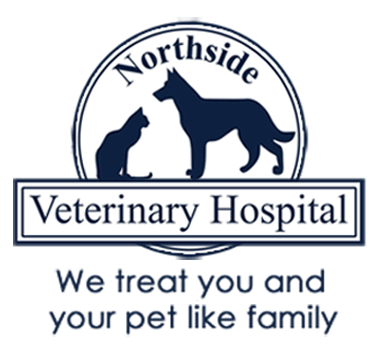 Northside Veterinary Hospital is proud to serve Cullman, AL, and surrounding areas. We are dedicated to providing the highest level of veterinary medicine along with friendly, compassionate service. If you have any questions about how we can care for your pet, please don’t hesitate to call us at (256) 734-5557. Thank you! Northside Veterinary Hospital is proud to serve Cullman, AL and surrounding areas. We are dedicated to providing the highest level of veterinary medicine along with friendly, compassionate service. At Northside Veterinary Hospital, we offer a variety of services to care for your pet. If you have any questions or would like more information on how we can care for your pet, please contact us today. 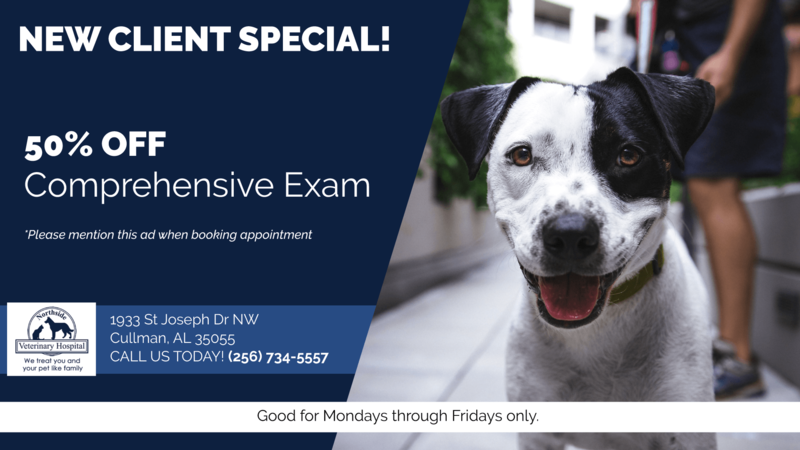 At Northside Veterinary Hospital, you can expect state of the art medical care for your four-legged companions. They take amazing care of all 3 of our dogs. The vets and assistants are so sweet and always remember your face then tour babies. Cheaper on prices and always a pleasure to deal with. I have been using Northside Veterinarian Hospital for many years and they have always put my dogs health and happiness first. I will not carry my babies anywhere else. The staff are very kind and patient. The doctors are very knowledgeable. I love my Vet!! We love Northside! They take great care of our Thor! All the staff are so friendly and we recommend Northside to everyone! Excellent place to take your fur babies for any service. The Dickerson’s go above and beyond in making sure they are taken care of and are good to educate you on your pets, for example: we got a Dalmatian back in May, and for his puppy appt, Dr. Suzie made sure to tell me about possible complications later on in life, and facts about the breed that I had no clue on. They treat your pets like they should be treated - like family members. Our Golden Retriever (who is super picky about his feet and ears being touched) hurt his leg a few weeks ago, and while they had taken him back to check his knee, they also clipped his nails and washed his ears out for us. Great staff, great care, clean facilities. Could not ask for a better vet to take my babies. Everyone is so nice and treats your pets like they were their own. They also keep you informed throughout the day if your pet has to stay overnight. Both Dr. Justin and Dr. Susie are very good at explaining things and making sure you understand everything. They are also honest and tell you up front if they don't have a lot of expertise with a certain situation.